Apple revenue from Greater China, defined by the company as Taiwan, Hong Kong and mainland China, dipped to about $12.5 billion in the three-month period ending in March, down 26 percent year-over-year. By comparison, Apple's total quarterly revenue for the second fiscal quarter of 2016 fell 13 percent to $50.6 billion. China is viewed as Apple's most important growth market, and until this quarter did not disappoint as a massive revenue generator. Over the preceding months, Greater China posted double-digit gains while more established markets like the U.S. and Europe saw only moderate growth. As noted by Piper Jaffray analyst Gene Munster, the region grew 14 percent to reach $18.4 billion in the most recent December quarter, which means today's earnings report is a sequential drop of 32 percent. Despite what some call a weakening market, Cook remains optimistic on mainland China. During today's conference call, Cook said revenues there were down 11 percent year-over-year, which translates to about 7 percent in constant currency terms. Compared to the same time last year, when mainland China revenue grew a whopping 81 percent, Apple's most recent figures are down only 5 percent. Apple CFO Luca Maestri presented the same numbers earlier in the call. 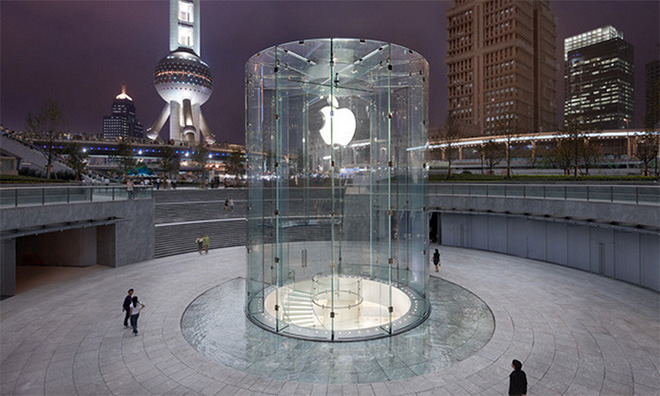 In any case, Apple is moving ahead with an aggressive push into China and today announced plans to build at least five more brick-and-mortar Apple Store locations in the region by the end of quarter three. The company is on pace to meet its goal of building 25 new stores in China by the end of 2016. For the recently ended quarter, Apple reported its first quarterly revenue decline in 13 years, largely due to a first-ever deceleration in iPhone sales.